Cecile inherited both her armor and position as Captain of the Guard of Budehuc Castle from her late father. She has complete faith in Thomas's role as Lord of the castle and is quite devoted to him. She also highly admires Chris Lightfellow and aspires to one day be like her in both ability and physical beauty. 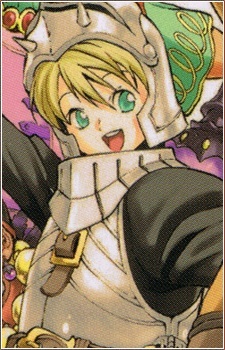 She is 12 years old during the events of Suikoden III and uses a spear in combat. She bears the "War Horse" rune.